Nokia Health Mate is no more. 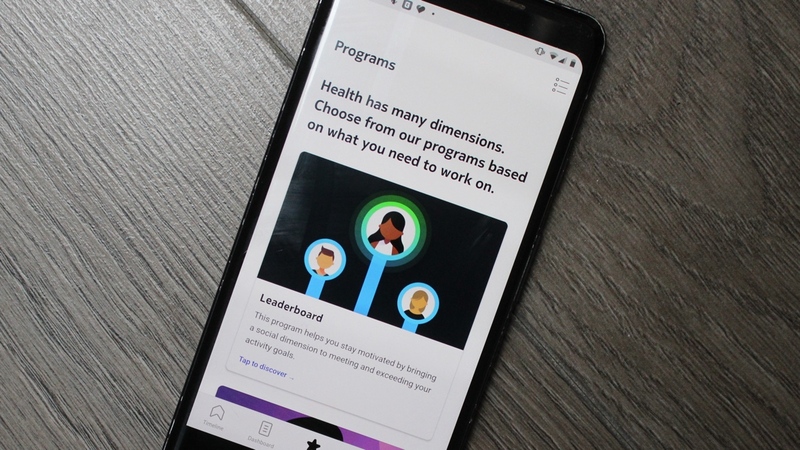 After Withings bought back the connected health business it sold to Nokia in 2016, it restored software order and brought back the app we named our Health and Fitness Platform of the Year in the very first Wareable Tech Awards. Along with getting that Withings badge back onto its hybrid smartwatches and announcing innovative new wearables and devices like the Move ECG and its BPM Core smart blood pressure monitor, improving the companion app that ties everything all together is clearly going to be a big priority for Withings over the coming years. We've spent a fair amount of time with Health Mate in its latest guise to help you get to grips with what to expect and how to make best use of its key features. Health Mate’s timeline is what you see when you first load up the app. This is a brief history of your last few interesting activities. You might see a summary of yesterday’s stats, or a little map of the run you went on a few days ago. If you own a Withings tracker, you can let this part auto-populate. Data transferred from your wearable simply ends up here. Just own a Withings Smart scale? The timeline may not look quite as interesting. You can also manually add data to your history on this screen. Tap the “+” icon in the top right corner and you’ll see a mini menu of data fields to add. These include your weight (perhaps the most useful), an activity such as a game of football, your blood pressure and any food consumed. There’s also heart rate, which is the most interesting here, tech-wise. This option doesn’t just leave you to put in a figure. It uses your phone’s camera and LED flash to record a reading. You won’t get good results if you try to get a recording while running, but it is a handy way to keep track of resting heart rate. This is a reasonable indicator of your fitness level. It’s a fun one to keep an eye on over the weeks and months. Try to record your meals here and you’ll be prompted to download the MyFitnessPal app. Withings has sensibly offloaded this part. To make meal tracking bearable, you need a huge, regularly updated database of foodstuffs. MyFitnessPal is one of the most popular. Health Mate’s Dashboard tab is the area you might think of as a fitness tracker’s traditional front-end. It shows the last recorded core stats. You’ll see your steps for the day, your last sleep data, and your weight. Of course, if you don’t own a Withings Smart Scale you’ll have to enter weight data yourself. Dashboard also lets you add more data, just like Timeline, using the “+” button to the top-right of the screen. You’ll also see another button up here, the pencil. This lets you add more stat types to this screen: blood pressure, BMI, fat mass, remaining calories and height. It’s easy to tell why these aren’t included as standard. A normal fitness tracker doesn’t record these. And how often is your height likely to change? There is a reason for the Height field, though. Go to the Profile tab, scroll down and you’ll find the Family section. Here you can add other people to Health Mate. Perhaps your partner is trying to lose weight, or you’d like to track the growth of one of your kids. Sure, it may not be quite as charming or movie-like as a height history pencil scrawl across a wall, but it won’t threaten your deposit on a rented flat. Extra “Family” profiles aren’t used to track steps or runs, unless you add them manually, as this would no doubt cause a major headache. But it’s worth exploring if weight and health tracking are a shared endeavour in your house. The best way to get others involved in your Health Mate experience is something quite different, though. It’s the Leaderboard mode in the Programs tab. You invite other people to join you in week-long challenges to see who has the highest step count, each week from Monday to Sunday. A little light (often not that light) competition is often the best way to get yourself motivated, and to make upping your activity level seem more fun. The limitation here is that Leaderboard is effectively private. Some other apps let you compete with other people on the platform, with no need to actually know them. In Health Mate, you need to have some Withings-owning friends to make the experience work. However, get a few friends involved and it can radically enrich your tracking experience. Health Mate also offers a rather more unusual extra mode, Pregnancy Tracker. This is out of the standard wheelhouse of a tracker app, used instead to monitor your weight gain over the course of pregnancy. As such, you’ll ideally have one of Withings’s smart scales. You can also use it with manually tracked weight readings, though. Pregnancy Tracker also offers some nutrition tips, based on standard medical advice. You won’t find anything wacky in there. The Better Body program actually uses more of the Withings smart scale’s abilities. Withings hardware is required, not optional. This is because it uses body fat analysis, rather than just weight. It’s a fairly intensive programme, and makes you weigh yourself every day. Some will say this is too often. Weight fluctuations day-to-day can obscure a downward trajectory and knock your motivation. However, pair it with the right mindset and a plan of exercise and healthy eating, and you should see some interesting results over the course of a month. Health Mate’s final program is Sleep Smarter. It is here to provide some context to your recorded sleep, over the course of a week. Some other tracker apps do this as standard, giving you a sleep score and even rating the consistency of your sleep. However, baking it into a program like this makes you think more actively about sleep, presumably with the hope that you’ll tweak your behaviour in the future. Getting more sleep: easy to plan to do, harder to achieve. Programs are Withings Health Mate’s “special move” among fitness trackers. There are some more conventional tactics to help you stay motivated for longer too, though. In the Profile tab you can check our your global stats, how many steps and miles you’ve tracked over the weeks and months through the app. As these figures tick over you’ll gradually unlock achievements related to those distances. At 42km, you get the “Marathon” badge. At 200km, it’s the Suez Canal. And so on. We don’t find these hugely useful, as their unlocking is extremely passive. Some Withings owners probably don’t even realise they exist, and they’re nothing like as rich as the virtual “adventures” you can try in the Fitbit app. However, the more you pay attention to them, the more useful they become. There are more effective ways to try to give yourself a Health Mate kick up the backside without any Withings-owning friends, though. In the Profile tab you can alter your daily goal and set reminders. Tap the My Goals section and you can drag your target up and down. This feature is also considered in the hardware design of Withings’s hybrid watches. The dials on them relate not to a concrete step count, but how close you are to your steps goal. The Reminders part below My Goals is arguably even more useful. These set notification-based alerts. “Go for a run” is the most obviously pertinent. You can set the days and time My Health will prod you with an alert to get your trainers on and head out. We tend to use this as a morning reminder of “run days”, rather than a way to rigidly schedule our exercise time. There are loads of other kinds of reminder too, from practical ones like “weigh yourself” and “rehydrate” to odder picks like “visit a new cultural site” and “go for an after-dinner walk”. As ever, use whatever works for you. One of the most important ways to customise Health Mate is simpler. You can, predictably, change the units of measurement to suit the way your mind works. Go to the Settings menu by tapping the cog icon on the Profile screen, and select Units. Here you can switch between lb, kg and st for weight, feet and cm for height, and so on. Health Mate also lets you customise certain parts of your connected wearable (or scale) in the Devices tab. For example, the last Withings device we used was the Pulse HR. From this tab Devices alters the workouts that appear in the activities menu, and the info screens that appear on its “home” pages. You can also set an alarm. The Devices tab is also handy for checking the battery life of a wearable. The final part is important if, after all this, you find you still don’t get on with Health Mate that well. Withings lets you grant other apps access to your stats. In some cases, this turns Health Mate into a middle man app, so you can use an entirely different front-end tracker app. Your other traditional options are Google Fit, RunKeeper, MyFitnessPal and Samsung Health. You can link these up in the My Apps part of the Profile tab. There are some more intriguing app connections too. Using IFTTT (If This Then That), you can create scenarios that trigger when certain criteria are met. This may sound vague, but that’s because IFTTT is so open. You could turn your Hue light on when your Withings wearable senses you’ve woken up, for example. Health Mate can also connect directly to the Nest smart home system, letting you choose certain thermostat settings for when you go to bed and wake up. Again, you make these connections in the My Apps part of the Profile tab. This is a fantastic app. Pairs nicely with my Withings Body+ scale. Imports my Google Fit activities from my Phone and from my Misfit Vapor 2. Now I just need a good device to roll sleep tracking in.